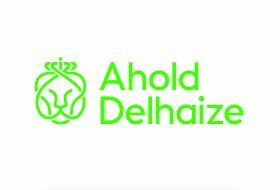 European retail giant Ahold Delhaize has announced consolidated net sales of €16.5bn for the fourth quarter of 2018, an increase of 3 per cent at constant exchange rates compared to the fourth quarter of 2017. Overall the business delivered another strong sales performance in the fourth quarter and for the full year 2018, with full-year net sales reaching €62.8bn, up 2.5 per cent at constant exchange rates. Sales performance in the US continued to show good momentum with 2.7 per cent comparable sales growth excluding gasoline in the fourth quarter, including a slightly favourable weather impact. The Netherlands had a solid performance with 3.3 per cent comparable sales growth compared to a strong fourth quarter last year, while in Belgium, the implementation of the strategic plans to improve the operational performance of the Delhaize stores was reflected by a comparable sales growth of 3 per cent. Meanwhile, the reailer has also announced the appointment of Marit van Egmond as brand president and CEO of Albert Heijn, a move that comes into force on 1 February 2019. Van Egmond will succeed Wouter Kolk, who will fully focus on his duties as CEO Ahold Delhaize Europe and Indonesia.